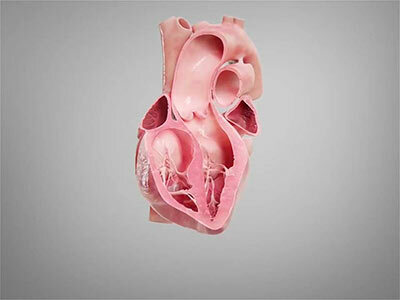 Meticulous detail makes this the best 3D heart model ever created. Strip back the layers of the heart and hide or fade individual structures to examine every part. View the heart in action like never before. Set the heart rate to simulate real scenarios, or control the animation to examine every minute movement. Explore body systems related to the heart for a greater overview of how the body functions. Trace an artery back to its origin at the heart. Isolate or highlight the path, and explore other structures within the path. Go deeper into the anatomy with the blood vessels model. Explore the fine layers and features of the vessels like never before. Place the heart on a surface in real life to gain a better sense of scale. Continue to interact with the model as you study. Visualize pathologies and procedures with comprehensive video animations. Understand how conditions develop and are treated. Follow-up with clinical Screens, featuring custom model set-ups for analysing conditions, along with complementary text and imagery content. Break down complex cardiac topics with Courses, guided lessons created by leading anatomical experts. This course is designed to give you a comprehensive introduction to the anatomy of the heart. 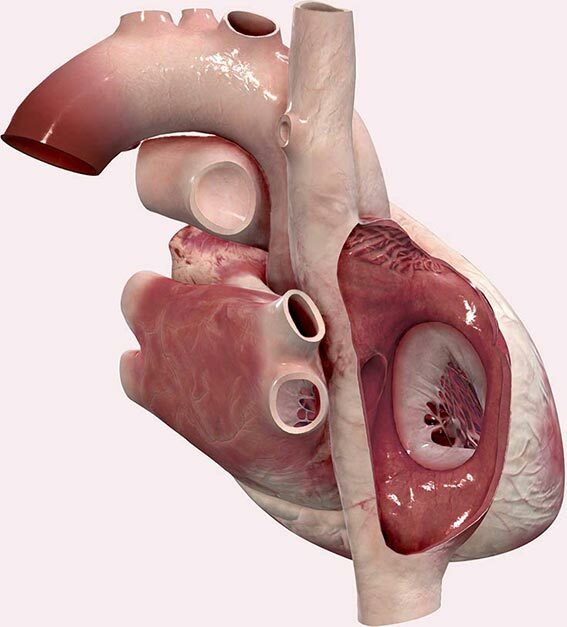 It is an interactive, lecture based course covering the underlying concepts and principles related to human gross anatomy of the heart and related structures. 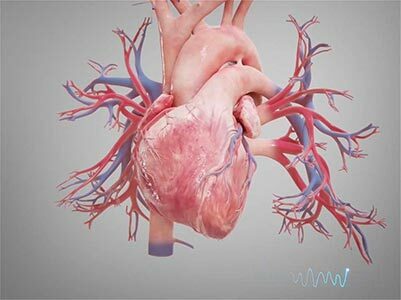 Get resources on the anatomical structure of the heart quickly and easily with Screens and Recordings. Simply choose the topic you need to revise. Physiology resources give a greater understanding of how the heart functions in relation to the rest of the body, with extra detail included in accompanying text and images. Add your own notes or custom diagrams to the model. Draw directly on the model, or add Labels to mark out structures for future reference. Change the heart model to show what you need using Tools. Add Growths or Pain to illustrate conditions, or use Cut to access deeper areas of the organ. Cut throught the heart to discover new views and gain deeper understanding. Separate the structures of the heart to explore their connections and relationships. Use your custom model set-up to create a Screen, or make a Recording to show and explain the key points of your set-up. Choose Groups to share your resources with. Future edits are automatically pushed to the Group, so everybody is always on the same page. Get started with a free 3-day trial of Complete Heart on your chosen platform. Access the entire range of features, and begin experiencing the cardiovascular anatomy like never before.